Want your new business to stand out from your competition? Have Arrowhead Builders construct your building and you'll have a custom job with a unique blend of elegance and rustic appeal. While we often create decorative stone work, foot bridges, out-lying buildings, and install metal roofs, we are also skilled in many other types of commercial projects. Just give us a call today and we'll let you know if we can help. 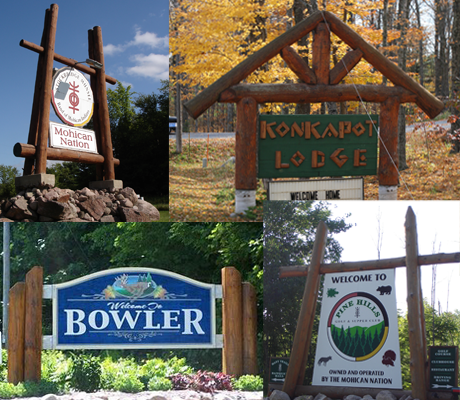 Whether you are a retailer, hotel, or even a city, our log signs will add warmth and a sense of 'Look at me!' to your message. 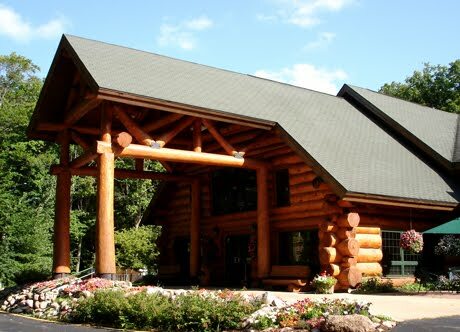 One of the best ways to spruce up the look of your commercial building is to add decorative, yet functional log work yo your entry way or corridors.